The suffix -able is used mostly in adjectives. Often writers are confused as to when they should add -able or -ible. We usually use -able in a word when the main part of the word forms a complete word (breakable). Sometimes (but not always) the silent e is dropped (advisable), or the final consonant is doubled (regrettable). 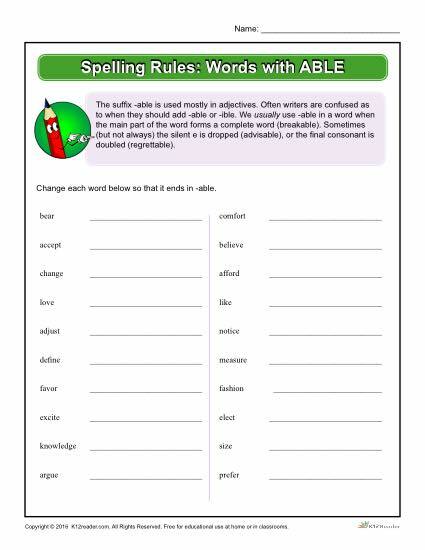 Use this helpful worksheet to better understand which suffix is correct.